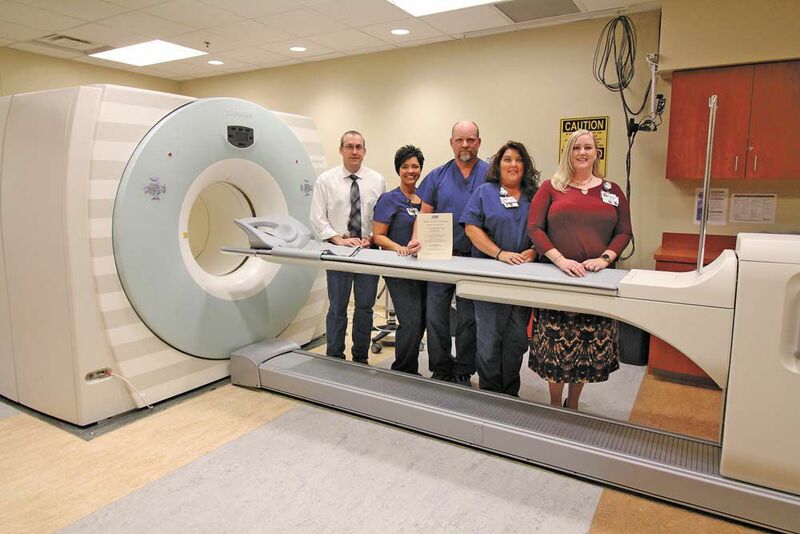 Morristown-Hamblen Healthcare System was recently awarded a three-year term of accreditation in computed tomography (CT) and nuclear medicine as the result of a recent review by the American College of Radiology (ACR). These accreditations join a line-up for the hospital’s imaging services including accreditations for general ultrasound and breast imaging resulting in the hospital being named a Breast Imaging Center of Excellence. “This means this community has access to a high level of imagining quality,” Emily M. Blomenberg, MBA, RT(R), CRA, director of imaging services at MHHS, said. “When you come to Morristown-Hamblen, you know you’ll be treated the same way each time because we have a set requirement which involves the highest quality care possible in the imaging world. CT scanning — sometimes called cat scanning — is a noninvasive medical test that helps physicians diagnose and tailor treatments for various medical conditions. A CT scan can be used to study all parts of the body such as the chest, abdomen, pelvis, an arm or leg. It can take pictures of body organs such as the liver, pancreas, intestines, kidneys, bladder, adrenal glands, lungs and heart. And it can also study blood vessels, bones and the spinal cord. Nuclear medicine is a branch of medical imaging that uses small amounts of radioactive material, ingested by the patient, to diagnose and treat a variety of disease including many types of cancer, heart disease and certain other abnormalities within the body. Depending on the type of nuclear medicine exam, the radiotracer is either injected into the body, swallowed or inhaled as a gas and eventually accumulates in the organ or area of the body being examined. Radioactive emissions from the radiotracer are detected by a special camera or imaging device that produces pictures and provides molecular information. Nuclear medicine helps physicians do things such as visualize heart blood flow and function, assess damage to the heart following a heart attack, scan lungs for respiratory and blood flow problems, evaluate bones for fractures, detect the early onset of neurological disorders such as Alzheimer’s disease and stage cancer by determining the presence or spread of cancer in various parts of the body. 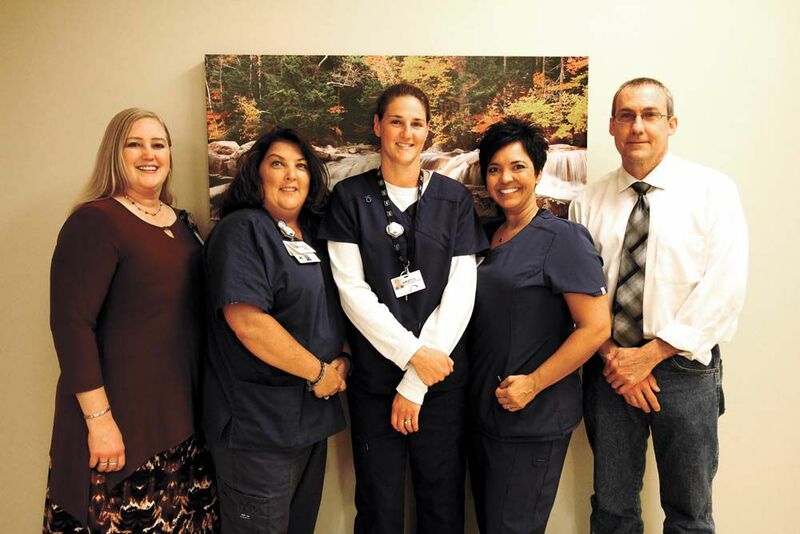 The earning of the accreditations for these two departments and others earned prior, required the consistent work of all radiologic technologists. It recognizes their ability to produce high-quality work in a consistent manner and to provide the safest environment possible to patients. The ACR, founded in 1924, is a professional medical society dedicated to serving patients and society by empowering radiology professionals to advance the practice, science and professions of radiological care. The College serves more than 37,000 diagnostic/interventional radiologists, radiation oncologists, nuclear medicine physicians and medical physicists with programs focusing on the practice of medical imaging and radiation oncology and the delivery of comprehensive health care services.